If you know how to follow and predict price fluctuations of an asset, you will certainly found the domain of binary options most profitable. In addition to the fact that binary options is the easiest way to make money online, it can also be considered the fastest investment route to riches with a trading strategy called ‘60 Seconds trading’. Though there are numerous trading platforms to offer this feature, there is only one binary broker to provide the finest of 60 Seconds trading – OptionBit. Established in 2010, OptionBit easily claimed its spot among the best binary trading platforms; and since we affirm to give our clients utmost advantages and the premium trading experience, OptionBit 60 Seconds was offered – the speediest course to make money online. 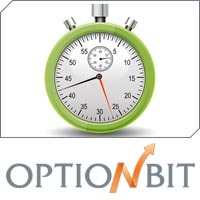 OptionBit 60 Seconds is a trading option that is almost the same to the typical High/Low trading. Your main task as a trader is to predict the asset’s price fluctuations if it will get higher or lower in the time of expiry. The difference between the two lies in the fact that in 60 seconds trading, all options close after 60 seconds. Hence, it has been popular to traders who want to capitalize in short term market trends. It is an undeniable fact that this trading option has higher risk compared to others; however, if done properly, it can definitely be advantageous and profitable. Since the expiry time is very short, it is a must that you act and make the most accurate decision fast. And if this has been done well, watching your profits grow higher every minute will certainly be plain and simple. In addition, compared to trading options with long term expiry dates, predicting the price movement is easier as the lesser time, the less the chance of other factors acting up. On the other hand, in OptionBit 60 Seconds, aside from earning more profits is fast, it’s also a little higher compared to the ordinary trading. In trading using this option, the main key to achieve best trade results is acting fast as you only have few seconds to make a decision about the direction of your trade. At OptionBit, we provide trading tools that will certainly help you with this. Aside from this, a demo account can also be helpful in getting yourself acquainted in this kind of trading. And since the trend must be your number one friend here, we provide excellent and functionality-wise charting software for you to determine the trends in the most accommodating yet accurate ways. OptionBit 60 Seconds is definitely the answer to traders who would want to generate enormous profits in just a short period of time. By simply opting to trade with us, the risk of this trading option has been lessened due to the trading tools and features we offer. Hence, if you sure profits in just a minute, never hesitate to start trading at OptionBit now!